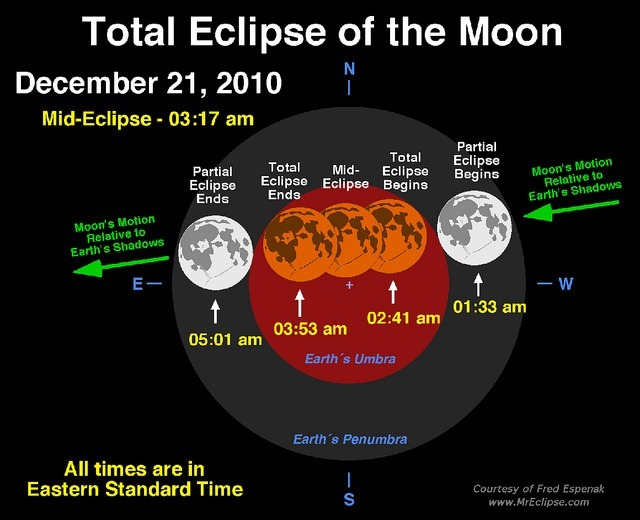 A total and last eclipse of the Moon occurs during the early morning hours of December 21, 2010 (for observers in western North America and Hawaii, the eclipse actually begins on the evening of December 20). You can fully view the total lunar eclipse from North America, Greenland and Iceland. The beginning stages of the eclipse is visible in Western Europe and the later stages after moonrise is visible in Western Asia. According to NASA “The Moon’s orbital trajectory takes it through the northern half of Earth’s umbral shadow. Although the eclipse is not central, the total phase still lasts 72 minutes”. 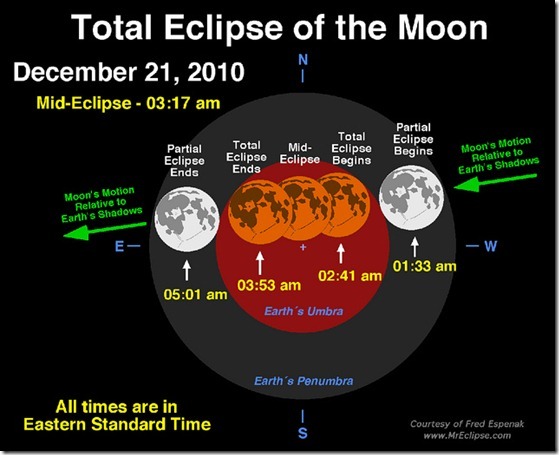 In India the Total Lunar Eclipse will take place between 13:10:47 and 14:23:08 on December 21st 2010. « RockMelt – Browsing Experience Re-Imagined.